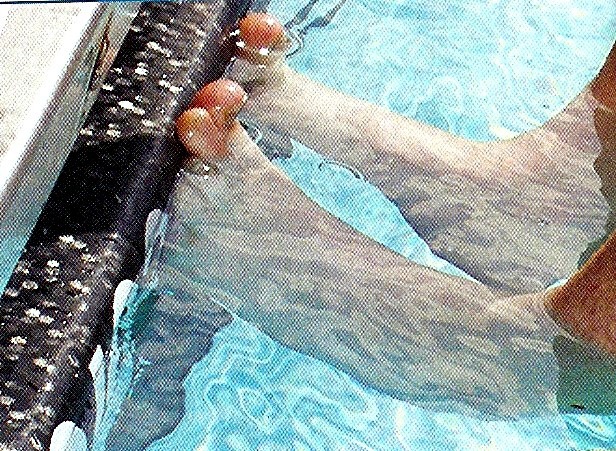 Even though the old rule kept your feet under the water, you could still develop a solid foundation by focusing on how to position your feet. As with all starts you must stay focused. Stay compressed and be ready to explode in the proper direction. In this start it may be better to place one foot higher that the other, as in the track start. This is useful if the walls are slick. It’s usually better and safer to go for a good grip than for quickness or distance or height. 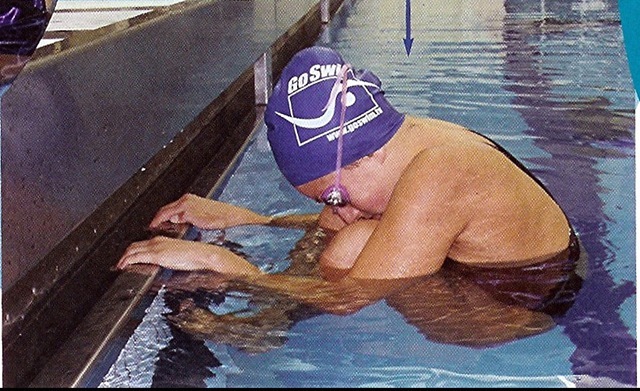 While you may end up dragging the lower leg through the water a bit more, this is better than slipping down the wall and wind up going nowhere. 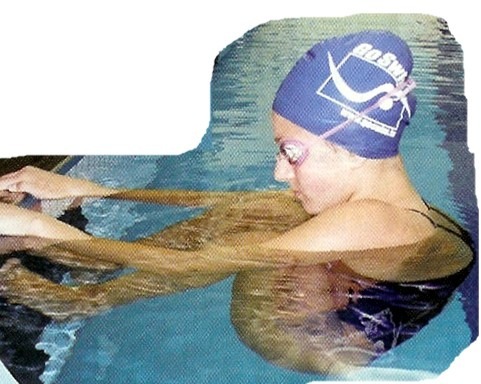 When you move to the starting position, try not to lift yourself out of the water. Instead, try to draw yourself toward the wall, focus on the pressure on your feet. Remember, the goal is a strong start that sends you back not up!. No matter whether you grip the block or the gutter, you should roll your head forward as you take your mark. Your head is usually the first thing to move backward when the starter hits the beep. By rolling the head forward, you coil your body and prepare to explode all of your energy and movement.